Adriaan, he was put on the ground in the year 1963, in a town called Apeldoorn. He also lived in Germany for 3 years ,in a town called Zeven. But went back to Apeldoorn in 1972. And he is a ham. In 1984 he got the call PE1KHP, and in 2000 he did changed it in PE2KP. 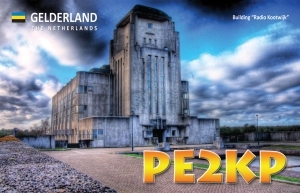 On the old QSL card you can see the HF radio station Radio Kootwijk. 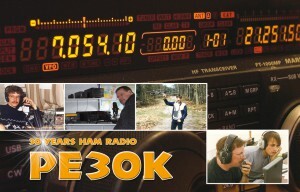 In 2009 he did used the call PE25KP, as 25 years of operation on the bands as a ham. In 2011 he did changed it in PE2K. And that is the call he is still use on the air. In 2014 he did used the call PE30K of 30 years active as a ham. See the QSL card. Adriaan is 51 years old, and married to a lovely woman Linda. Rostia his daughter is married to Andres , and they have a daughter Qwinty . And soon a second grandchild is on the way to the shack. PE2K is a full license, for all ham band. But PE2K is mostly QRV on 6m and all HF-bands, in all modes: cw, ssb, sstv, jt65, rtty, psk… for DX-ing. Yeb, i will do that for you.